UPDATE: It’s now open to whoever wants to join! Walmart has announced a new program to take on Amazon Prime! The new program, codenamed “Tahoe” because apparently all the cool names were taken, will offer its members unlimited FREE shipping on any Walmart product within 3 days. The new Walmart program will cost $50, about half the cost of Amazon Prime’s $99. 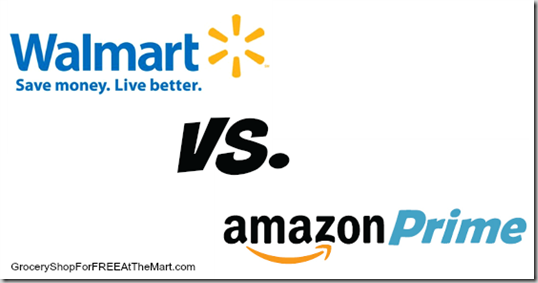 However, Walmart is only offering 3 day shipping where Prime will get you 2 day shipping on most Amazon products. As of right now, this is an invitation only program so most of us won’t have access to it but we if successful, we could see this program being rolled before Christmas. It also looks like the Walmart program will not include any online video or streaming music like Prime has but with Walmart’s Vudu program, I am pretty sure this will have to be included in some way to compete with Prime. We have more info about Amazon Prime here. Thanks to USA Today and NBC News for the details.